Amy Catanzano is a writer who works between a range of disciplines and genres. In an integrated artistic theory, interpretive framework, and writing praxis called quantum poetics, she investigates the intersections of literature, science, and art to reinvent common notions of spacetime, language, and reality. Her creative and scholarly research spans the history of the avant garde and its contemporary literary and artistic subcultures in parallel to science and the philosophy of language. She is the author of three books, two of which have received major national awards, in addition to significant creative nonfiction projects and electronic literature. Starlight in Two Million: A Neo-Scientific Novella, published by Noemi Press, combines fiction with poetry and received the Noemi Press Book Award. Multiversal, published by Fordham University Press, received the PEN USA Literary Award in Poetry. Prior to this honor, Multiversal was selected by Michael Palmer for the POL Poetry Prize at Fordham University Press. Her first book, iEpiphany, was published by Anne Waldman’s independent press. 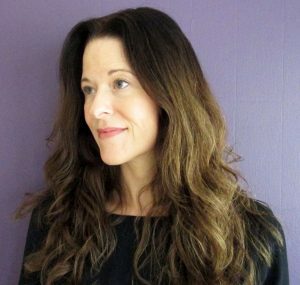 She is also the author of a chapbook, World Lines, published by the Simons Center for Geometry and Physics at Stony Brook University, and a digital poem in an exhibition, The Gravity of Words, at the Rotterdam Poetry International Festival and the Oslo Poesifilm Festival for Digital and Visual Poetry. Her essays on poetry and science appear in Poems and Poetics, Jacket2, and elsewhere. Her poetry and fiction appears in literary journals such as Conjunctions, Colorado Review, and New American Writing and in anthologies. Her books are taught in the U.S., Europe, Australia, and elsewhere and have been the subject of critical study by scholars. She regularly gives readings and talks in the U.S. and elsewhere. As part of her interest in science, Catanzano conducts site visits to scientific research centers and draws upon these experiences for her writing projects. She has been an official visitor at the NEXT neutrino experiment at the Canfranc Underground Laboratory in Spain, the Donostia International Physics Center in Spain, the Green Bank Telescope at the former National Radio Astronomy Observatory site in West Virginia, and the Simons Center for Geometry and Physics at Stony Brook University in New York. With grants from Wake Forest University, she has conducted research at CERN in Switzerland and on the Dark Energy Survey in Chile at the Cerro Tololo Inter-American Observatory, a division of the National Science Foundation’s National Optical Astronomy Observatory. A graduate of the Iowa Writers’ Workshop, she is an associate professor of English in creative writing and the poet-in-residence at Wake Forest University. With an award funded by the Andrew W. Mellon Foundation, Catanzano is convening Entanglements: A Conference on the Intersections of Poetry, Science, and Art at Wake Forest in May 2019. In addition to teaching poetry workshops and directing theses in the undergraduate creative writing minor and MA program in the Department of English, she is co-director of the Writers Reading Series, a faculty founder of the department’s student reading series, and a former and the inaugural director of the creative writing minor. Prior to teaching at Wake Forest, Catanzano taught in the undergraduate and MFA programs of the Jack Kerouac School of Disembodied Poetics, an internationally celebrated writing program and literary community that emphasizes experimental and contemplative approaches to writing, co-founded by Allen Ginsberg, Anne Waldman, and Diane di Prima at Naropa University in Colorado. She still occasionally teaches in Naropa’s renowned Summer Writing Program. In addition to teaching at Naropa, she served as the administrative director of the Writing and Poetics Department and managing director of Naropa’s literary journal. Creative work is published in Supplement, Perfect Wave, Aufgabe, Colorado Review, Conjunctions, Web Conjunctions, Denver Quarterly, Fence, Interim Magazine, The Laurel Review, New American Writing, POETBOOK: An Illuminated Project, Tarpaulin Sky Journal, Truck, Poems and Poetics, Volt: A Journal of the Arts, Washington Square Review, and elsewhere. World Lines and “Two science-inspired talks by a poet and philosopher,” Simons Center for Geometry and Physics. Amy Catanzano’s World Lines: A Quantum Supercomputer Poem explores topological quantum computation in relation to poetry and Incan quipu knots. It was created and presented in a lecture and poetry reading at the Simons Center for Geometry and Physics at Stony Brook University. A chapbook with photographic documentation and a statement of poetics was printed. The project is featured in the articles, “Poetry takes on quantum physics” at Physics by Katherine Wright and “Artist explains quantum physics through poetry” by Tristan Greene at The Next Web. Physics selected Wright’s article on World Lines as one if its 2018 Highlights of the Year. “Quantum Poetics: A Talk and Poetry Reading,” Simons Center for Geometry and Physics. #Nodos: A visual poem by Amy Catanzano and an accompanying essay in a chapter on “Complexity and Chaos” in a Spanish edition of #Nodos (Next Door Publishers, 2017), an international anthology on science, art, and literature with an English edition forthcoming from Intellect Press. “Wavicles”: 3D Poetry Editor Software: Amy Catanzano’s moving, digital poem, “Wavicles,” on wave-particle duality, created using 3D Poetry Editor software developed in The Netherlands and Norway, appeared in an exhibition, The Gravity of Words, at the Rotterdam Poetry International Festival and the Oslo Poesifilm Festival for Digital and Visual Poetry. Quantum Poetics Commentary Series at Jacket2: Amy Catanzano’s commentary series on quantum poetics at Jacket2, the University of Pennsylvania’s online journal of modern and contemporary poetry and poetics, presents several short essays on the intersections of poetry and science. A reprinting of “Black W/Holes: A History of Brief Time” by M. NourbeSe Philip and a discussion on poetry and science between Catanzano and Andrew Joron are also presented. Like A Metaphor: Ongoing Relations Between Poetry and Science at Jacket2. “Like a Metaphor,” Gilbert Adair’s feature in Jacket2 on poetry and science, comes together as a response to a podcast on Louis Zukofsky’s Anew. Collecting poems, critiques, and dialogues between eleven poets who share an interest in science—Rae Armantrout, Amy Catanzano, John Cayley, Tina Darragh, Marcella Durand, Allen Fisher, James Harvey, Peter Middleton, Evelyn Reilly, and Joan Retallack—the feature explores how scientific discourse might be incorporated by poets not simply as a source of metaphor but as an independent discipline. Quantum Poetics: Writing the Speed of Light: Amy Catanzano’s “Quantum Poetics: Writing the Speed of Light” is a four-part essay published from 2009 to 2011 by Jerome Rothenberg on his literary website, Poems and Poetics, now distributed by the University of Pennsylvania. Recipient, Wake Forest University, Humanities Institute, Reynolda Conference Grant, funded by the Andrew W. Mellon Foundation. A $20,000 competitive award for the Engaged Humanities to convene Entanglements: A Conference on the Intersections of Poetry, Science, and Art in May 2019. Recipient, Wake Forest University, W.C. Archie Endowed Fund for Faculty Excellence award in support of travel to Chile. Catanzano visited the Cerro-Tololo Inter-American Observatory to conduct creative and scholarly research on the Dark Energy Survey. Recipient, Wake Forest University, Summer Research Award, in support of a book manuscript on the intersections of poetry and science. Recipient, Wake Forest University, Dunn-Riley Faculty Development Award to attend the conference of the Society for Literature, the Sciences, and the Arts in Toronto. Recipient, Wake Forest University, W.C. Archie Endowed Fund for Faculty Excellence award in support of travel to the European Organization for Nuclear Research (CERN) in Switzerland. Catanzano spent one week at CERN as an official visitor speaking with physicists, visiting on-site experiments and exhibits, conducting research in the CERN Archive, and more. Starlight in Two Million: A Neo-Scientific Novella is included by Alastair Brotchie in the permanent collection of the ‘Pataphysical Museum at The London Institute of ‘Pataphysics. Recipient, Noemi Press Book Award in Fiction for Starlight in Two Million: A Neo-Scientific Novella. Recipient, PEN USA Literary Award in Poetry for Multiversal. Recipient, Fordham University Press’ POL Prize, selected by Michael Palmer, for Multiversal.